Some veterinarians will keep an account knowing that you are fundraising through a non-profit organization. One form is 'Walk a Mile' which can be done anytime, and anywhere! The other is a general form for donations. The two forms we email as attachments, can be copied and given to local churches, schools, scouts, (local media), friends, etc. for donations, walkers, and/or sponsors. Approval is needed to have these forms. Please email your full name, (group you are with if applicable), address, phone number, the veterinarian clinic's name, address and phone number with the animal(s) need and name. The veterinarian's office should be notified that they may be receiving checks from others before getting the forms. Others (churches, synagogues, schools, agencies, scouts, etc.) may also use our forms to help other local animals/pets. Please email information for approval. Sorry we cannot do more, but with the help of everyone, we can all make a difference for God's creatures in need of our help. 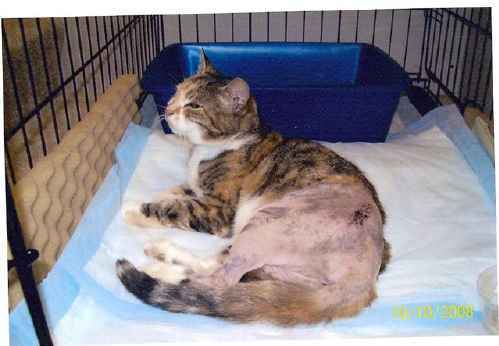 Your donations helped save Callie!